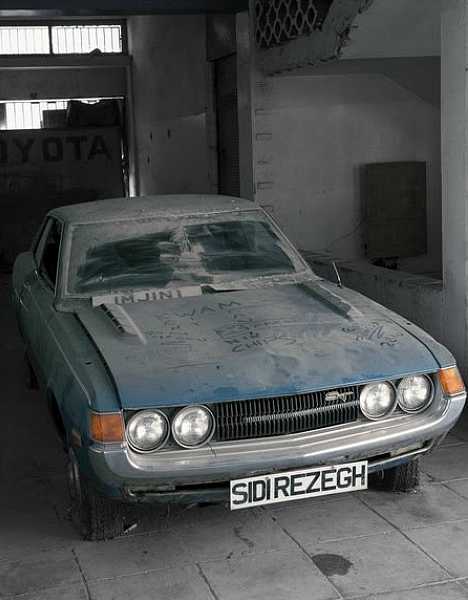 The 1974 Turkish invasion of Cyprus divided not only the eastern Mediterranean island as a whole but split entire cities and towns as well. Turkish occupation forces fenced off entire neighborhoods such as Varosha in Famagusta, and these off-limits areas along the Green Line nowadays resemble parts of Pripyat in the Ukraine. 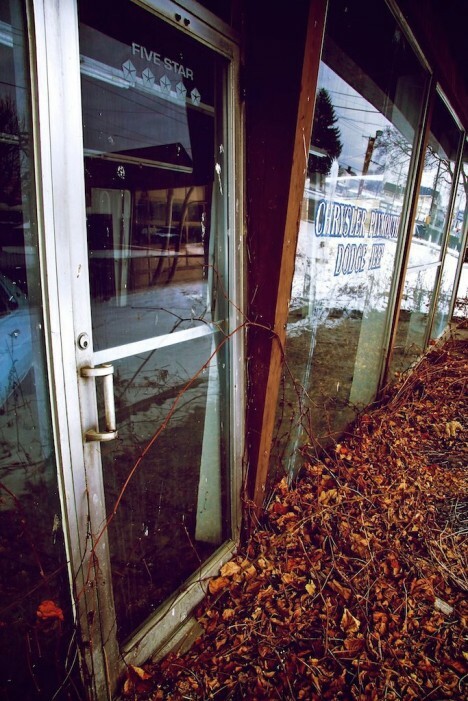 Take this abandoned Toyota dealership c/o CarScoops – still stocked with early 1970s cars showing little or no mileage on their odometers. 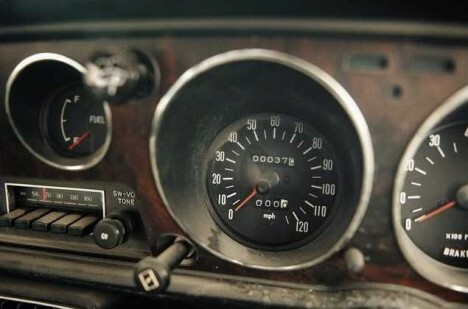 Do the cars still work? That’s nobody’s business but the Turks. 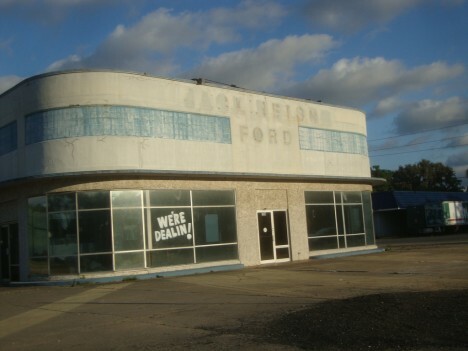 A tip of the cap to Flickr user C-Bunny for capturing the eerie essence of this abandoned Ford dealership in Darien, Georgia. Wielding a Sony DSC-W220 digicam to best effect on April 6th, 2012, C-Bunny channels just the right note of benign decay exuded by the former Jack Nelson Ford. The now-awkward “We’re Dealin!” jauntily calling out from a front window is the finishing touch to this slightly skewed view of the extinct dealership. We wanted to title this section “Ford Dead In Ohio” but as the abandoned car dealership above is the former Mark Motors, a Mopar dealer in East Liverpool, Ohio, that’s neither plausible nor possible. 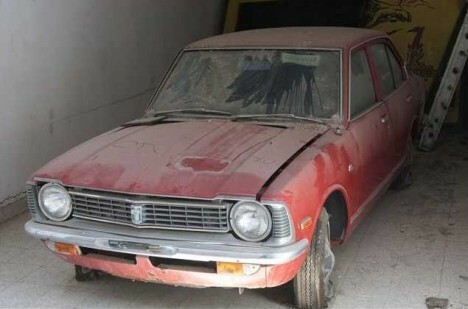 Recently-deceased owner Basil Mangano closed Mark Motors in 1998 but instead of selling the building and excess stock, he kept things going as sort of a private car museum. A red 1967 Plymouth Fury and another Fury from the 1978 model year hold pride of place in the formerly bright & cheery showroom but the real prize lies under cover in the building and annex where up to 40 classic cars await a future episode of TLC’s Hoarding – Automotive Edition. Thanks to Randy Fox (congoeels) and Scott Mulhollan for the incredible post-apocalyptic images above. 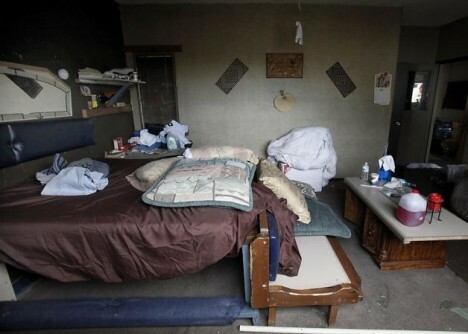 “It was shelter,” stated 57-year-old Linda Espiritu. “It was home.” It was also Bill Lang Cadillac and Pontiac, located on Sonoma Boulevard in Vallejo, California until the dealership closed about five years ago. 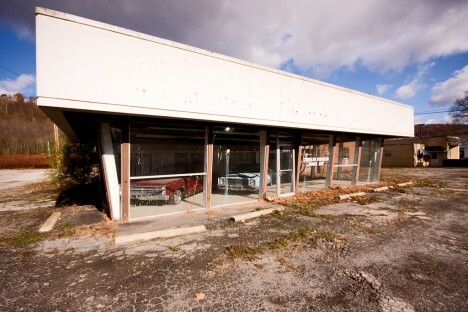 The once-stylish, 1950s-style dealership’s days sheltering up to 50 local homeless people who resided in the sales offices and showroom are done as well, due to an April, 2011 fire that resulted in the building being demolished due to lack of structural integrity. 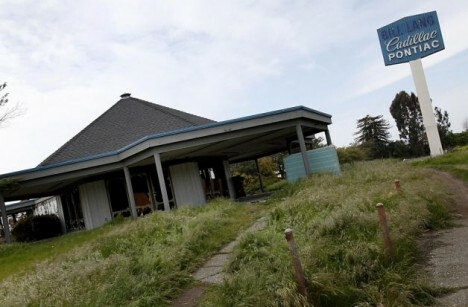 The dealership’s now doubly-homeless residents scattered to other Vallejo abandonments including a shuttered Toyota dealer. Tough times in Vallejo… not just for former luxury car dealerships anymore.